Gone are the days of damaging your gorgeous and luscious locks with a straightening iron, because StraightFix ™ has just launched their brand new StraightFix ™ V2 Professional hair straightening brush, which will leave your hair looking sleek, shiny and silky straight. We must admit that we were quite skeptical to try this hair straightening brush at first, as we have tried out a number of different straightening brushes, all of which promise you the world of difference to your hair, but we were very pleasantly surprised with the new StraightFix™ straightening brush, because it actually delivers what it promises. 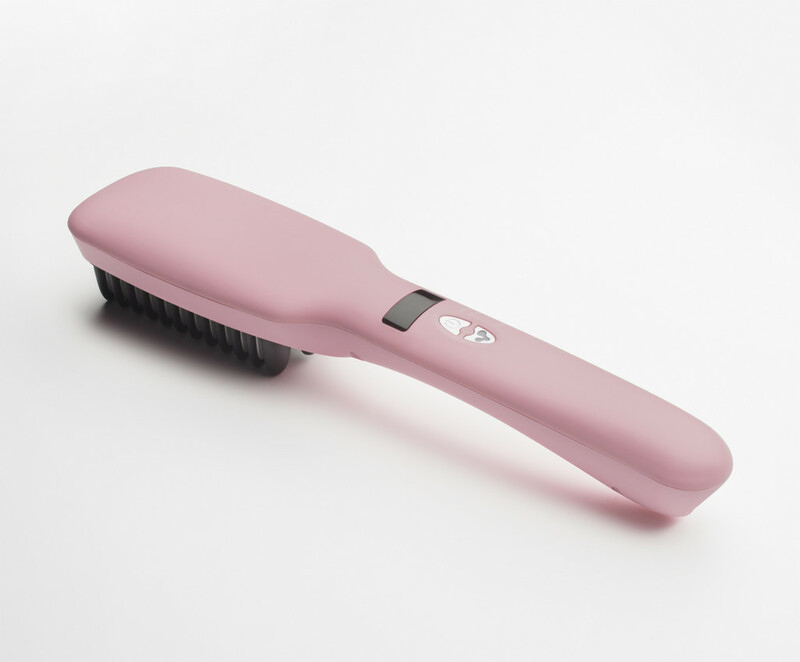 By using a brand new and iconic type of technology, this brush actually helps seal the hair cuticles in your hair with the irons in the brushes bristles, getting rid of all the frizziness, knots and split ends, leaving your hair looking lush and silky soft! 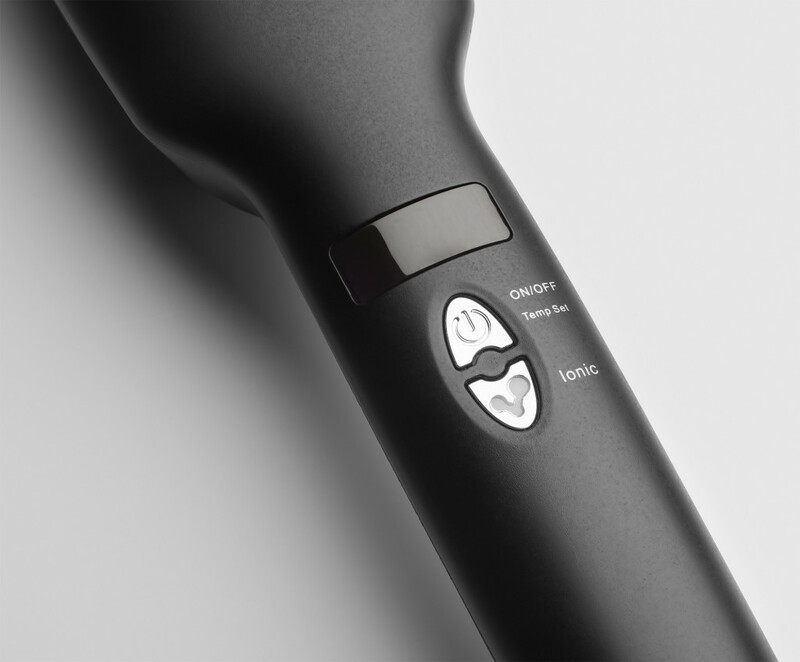 The StraightFix™ V2 Professional hair straightening brush does also contain some of the best breakthrough technology with state of the art PTC ceramic, which makes sure that all the heat in the brush is evenly distributed and in a consistency that will ensure your hair is left looking absolutely gorgeous. You’ll pretty much only need one stroke to achieve what a straightening iron would take 4 strokes to do. 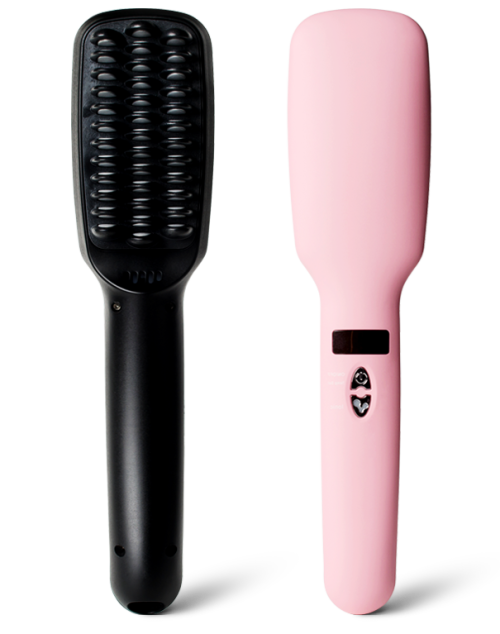 Available in two colours, pink and black, we tried out the super cute pink straightening brush, and we must admit, we were quite impressed with how it delicately it slid through our hair, and overall, gave it a slicker and softer look, eliminating most of the frizz that comes with curly and bushy hair. We did feel that it would have worked like magic on hair that is not as bushy and curly as ours, but perhaps it would have been better on hair that is slicker and straighter, however we were still very much impressed with how it made our hair look. The straightening brush definitely makes life a lot easier if you’re in a hurry and don’t have time to style your hair all morning, and we felt it was perfect as a ‘touch up’ brush in the mornings, especially if you’ve straightened your hair and need to give it a slick brush down before heading out the door. It’s also a great brush to own if you travel quite a lot and would rather spend 10 minutes doing your hair instead of and hour doing your hair. Check out the variety of straightening brushes from StraightFix™ and see which one suits your needs most! 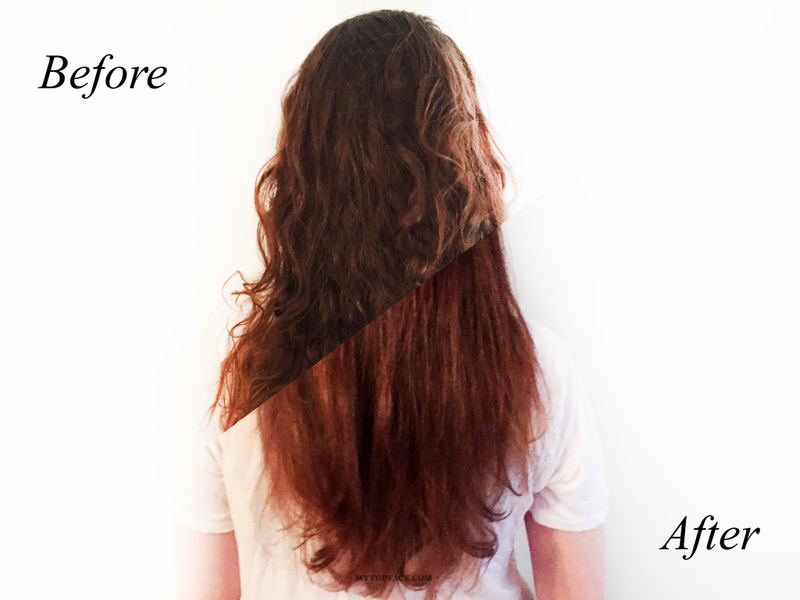 If you’re up for a challenge why not try out their older version as well as their new version and let us know which one you thought worked best – so far, we’re bigger fans of the newer and more improved StraightFix ™ V2 Professional hair straightening brush! It will make your hair look and feel a lot softer than a straightening iron and won’t cause it as much damage as a straightening iron would too! Next articleBioderma’s H20 Facial Cleansers and Makeup Removers are AMAZING!